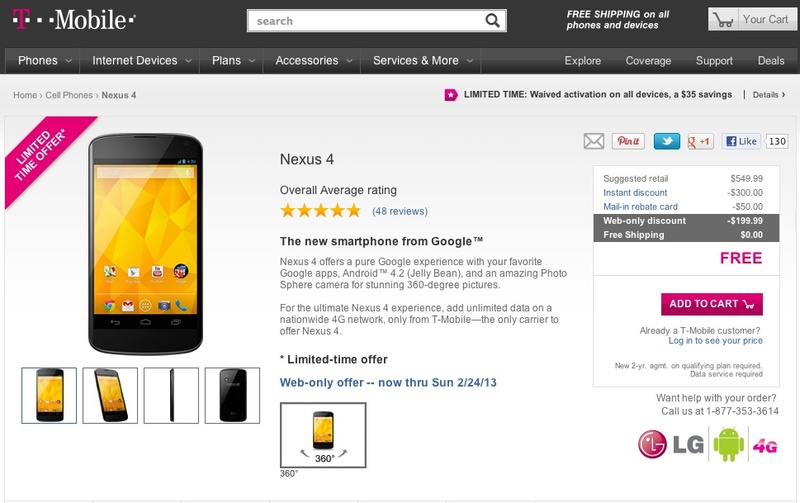 T-Mobile is running a limited time offer that will land you a Nexus 4 (16GB version) for free if you are willing to sign-up for a new contract. The deal only lasts through this Sunday, February 24, so if you have been waiting for the ultimate deal on Google’s newest flagship, now would be a good time to look into it. Keep in mind that this is the on-contract price. If you buy directly from Google for $349, there is no contract involved, though you still need to sign-up for service somewhere.